TOEIC test is administered by CENTER FOR PROFESSIONAL ASSESSMENT (THAILAND). It is also one of the requirements foreigners need to accomplish to get Work Permit. Taking test is quite stressful and for some a nightmare. 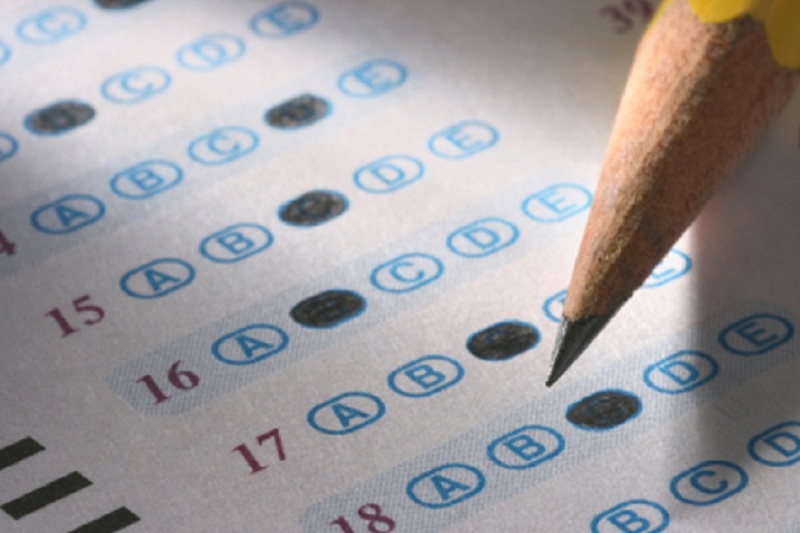 Taking any test really gives headache to many of us and the result may not be satisfying or even failure. 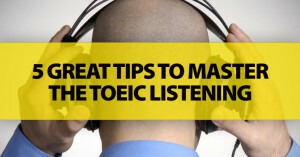 To ensure passing TOEIC, consider the following simple yet helpful tips. It is always important to be ready before taking any test. Relax—Sometimes being prepared can be overpowered by tense feelings and would lead to a “mental block” state during the exam. Most of the time nervousness bothers you and makes you unable to concentrate or comprehend the questions. Relax and keep relaxed before the test. The night before the test, go to bed early and wake up early as well. Take a deep breath to allow more oxygen get into your brain. Oxygen in the brain helps you to relax and concentrate more. Do it as often as you can before or during the test day. It is not advisable to review during the exam day, this will make your mind preoccupied with what you have reviewed which is normally not helpful; most of the things you have reviewed won’t be included in the test anyways. So keep relaxed! Reserve Online—Make a reservation of the date you want to take the test. Take note that there are a lot of people taking the test daily and it is always advisable to make a reservation a week before the intended exam date to ensure of the available slot. For those who do not have Thai Work Permit, you can only take the TOEIC every Wednesday while those who have possessed Thai Work Permit, you can take any day from Monday to Saturday. Reserve a seat by calling 02 260 7061 Mondays through Fridays during office hours 9:00 – 4:00. You may also call or contact numbers below. 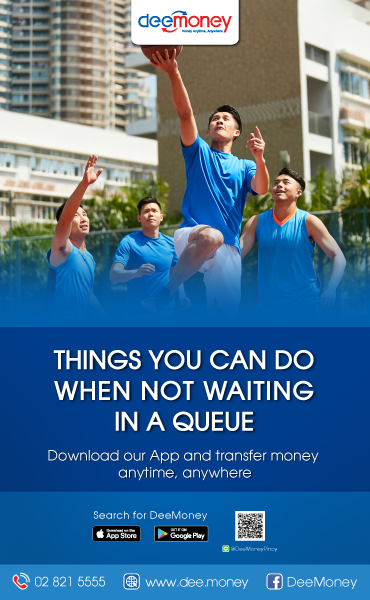 NOTE: Take note that your reservation is always final and failure to show up or cancel your appointment at least a day before the reserved testing date means penalty of 500 Baht. Come Early—You have to come early at the testing center not to catch worms but to keep you relaxed before the test. Upon arrival at the test center, confirm your reservation by registering at the counter and pay the fee of 1,500 Baht. The registration will only take 5 minutes depending on the number of people registering. That’s why you have to come early at least 3 hours before the testing room opens to avoid long queue. Once registered, secure a place of your belongings as personal and electronic gadgets are not allowed inside the testing room. Don’t eat a lot—When taking the exam, my advice is always to avoid eating too much. Why? You won’t know when the call of nature will come and when that happens, you will be in trouble as you will not be allowed to go out of the testing room once the test already started so better prepare for this thing to happen. Eat only little breakfast if you are taking in the morning session or lunch if your schedule is in the afternoon. Eat healthy food as well such as fruits and vegetables. Remember the story in the Bible about Daniel and his friends who became the wisest students within the kingdom of Babylon after eating only fruits and vegetables for 10 days. Don’t drink too much—like the food, don’t drink too much as well. Water or any liquid will be deposited in your bladder 20 minutes after drinking it so to avoid discomfort and disturbance during the test, avoid drinking too much at once. Instead, drink several little drops while waiting for your schedule, this allows your system absorb the liquid you take in and will not go into waste basket (the bladder). Remember that you won’t be allowed to go to the toilet during the test most especially when you are not yet done. So to avoid any problem, don’t drink too much most especially an hour before the testing time. Feeling discomfort during the test will affect your concentration and definitely affect your score as well. I am sure you will be frustrated when you receive the result so better do precautions and be ready. Now that you are ready to take the actual test, your target is how to get the right answers and be able to pass the exam so your working permit and visa application will be processed. Here are few tips I recommend you to follow. You may have some strategies but there is no harm in trying new techniques. Listening part is normally easy if you listen and understand well spoken English. But understanding sometimes doesn’t guarantee high score in TOEIC. Speed and understanding must go together. On the listening test, most of the questions and dialogues are not written on the test paper so you will be in trouble if your listening skill is not good but you can overcome that by following my techniques below. Read the Questions Ahead—before the listening test start, you will be given instructions what to do. Some sample questions will be given. Don’t spend time concentrating on those instructions instead, go a head of the audio. Make a brief glance at the test questionnaire and read ahead. Familiarize the choices (normally 3 questions per situation). Read those three questions or answer choices before the audio questions start. This will give you idea what you are going to hear in the audio. Never stick into specific question during the listening. If you cannot catch up with the audio (normally fast), just mark that number and go back to it later. Mark Answer While Listening—It is always good idea to mark the answer of your choice on the answer sheet or separate sheet of paper. Make a small note, use your registration form as notepad ( extra paper is not allowed inside). Write or make a small tick beside the answer you have chosen and shade it after. Shading sometimes takes time and will divert your concentration. Be aware of the shifting of the conversation or questions. You might miss the very important points. Listen only to the situation, talk, or dialog on the part where choices are written on the questionnaire. There will be 4 parts in the listening test. Picture description, responses, short conversation and talks. In the reading test, you will read lengthy situations, memos, announcements and business emails. This section of the reading test really takes time and without proper time management, your answer sheets may end up empty. TOEIC is time-pressured test so you have to manage your time properly. How to do that? Here are my few tips. Read the Questions First—This might sound strange but it is right. Read the questions first before going into the reading passages. Why? Because you are taking a time pressured test and all you need to do is scan the passage for the information being asked. By reading the questions first, you will have the idea what to look for in the passage. Spend Less Time on Difficult Questions— In every test, the ratio of easy and difficult questions is normally 70:30 or 60:40. This means that the chances of getting more correct answer is higher than getting mistakes so use your time wisely. Again time management is needed. Do not spend most of your time on difficult questions as there might be easier questions ahead of you. This does not mean, however, you skip difficult questions and leave them blank. Shade your first choice and mark the item so you can easily go back if you still have time. Mark the Number if you are Unsure of the Answer—Difficult questions are most likely the questions that confuse you and items you are not sure. When you encounter this situation, just shade the choice you made and leave a tick beside that item so you can easily find them again for review. Don’t forget to erase extra pencil marks on your answer sheets as your paper might not be scored by the machine that scans your paper. Follow the shading instruction on your answer sheet. The proctor will also give instructions on how to do it. You may download the test guide here and the sample test here.